As with the other Minnesota congressional seats that are open this election season, the 1st District will be one of the nation's most closely watched political contests of the midterms. 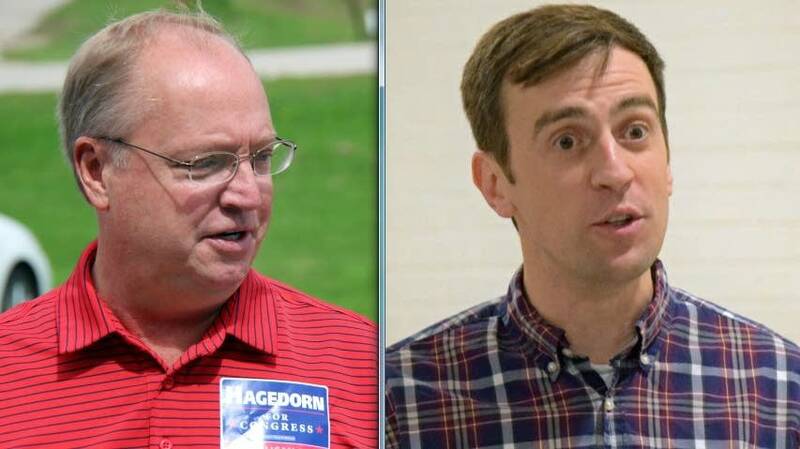 Republican Jim Hagedorn and Democrat Dan Feehan won their primaries. The 1st District may be one of the more vulnerable Democratic seats in Congress, according to the Cook Political Report, which rates the race a tossup. First District Congressman Tim Walz is leaving to run for governor. Hagedorn is making his third straight bid for the seat. He came within 3,000 votes of defeating the incumbent Walz in 2016. 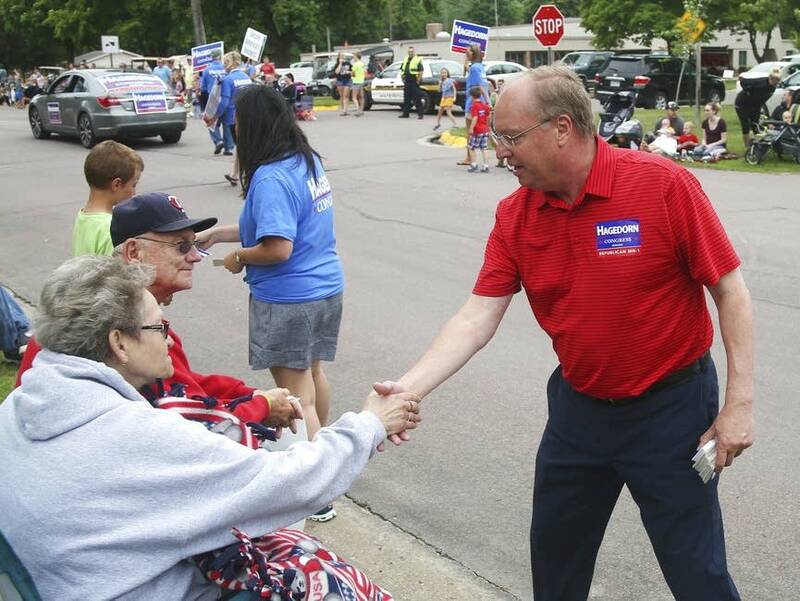 At the hazard of becoming a perennial contender, Hagedorn said political success sometimes takes time. But he thinks this time is different. "The Democrats have lost their advantage of incumbency there, and this time around we have enough money that we're going to run a full campaign of advertising. We've never done that before," Hagedorn said. President Donald Trump won the 1st District by a 14 percent margin two years ago. Hagedorn, who grew up on a farm in Truman, says like the president he wants to repeal the Affordable Care Act, work on energy independence and push back on abortion rights and restrictions on gun ownership. "We're looking at clear contrast here, the Democrats want to resist president Trump, they want to replace him. They want to take us back to the Obama policies and then some," Hagedorn said. 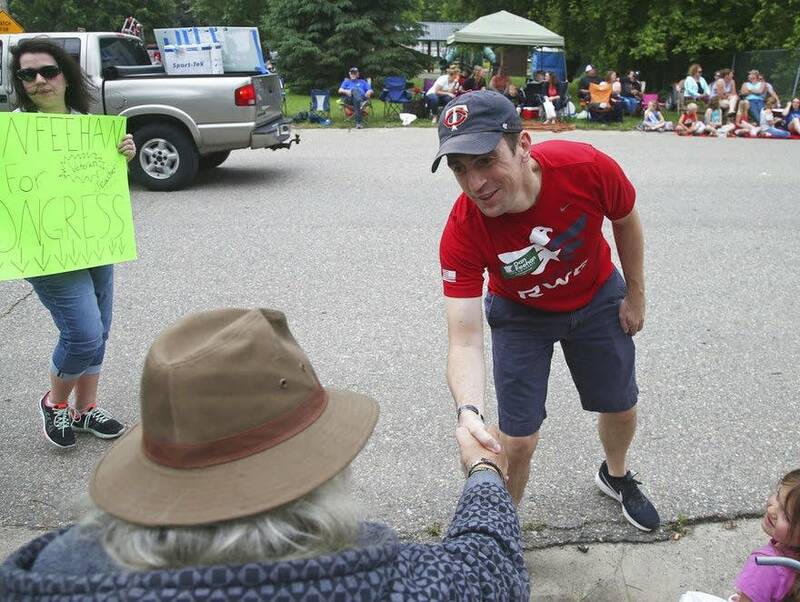 Democrat Dan Feehan, an Army combat veteran from Red Wing, said there's a lot to be proud of in the Obama legacy, but there's also more work to do to bring down the cost of health care and prescription drugs. And he's concerned about how wages "have stagnated, gone backwards." And he says he's emphasizing service — his own in the military, and an ongoing campaign of public service events — rather than a referendum on Trump this fall. And because he won't turn the race into a referendum on Trump, Feehan said he is a good fit with the district. He's looking to his predecessor's popularity to help, too. "That same group of people voted and re-elected Tim Walz, because they saw in him another public servant, another person that has put their country ahead of all other things," Feehan said. "That's the connection I've made with people on the campaign trail, people I know that are supportive of the president, people that aren't supportive of the president." Both candidates are concerned about tariffs that could cut into the district's important agricultural product exports. Feehan says Congress needs to take a stronger stance on trade and restore the market for soybean and pork producers. Hagedorn is no fan of the tariffs, but he said the president's policy is a necessary correction to trade imbalances as long as it has been given time to work but is ultimately temporary. University of Minnesota political scientist Kathryn Pearson said the southern Minnesota race will likely bring the kind of national attention that the state saw for the 8th District race in 2016 — the most expensive congressional campaign in the country that year. "I think both parties will work hard and spend a lot of money. I think outside groups will spend a lot of money. So I just think we'll see a lot of interest, because even in a competitive year like 2018, there are just not that many congressional districts, that are so narrowly divided between the two parties," Pearson said.